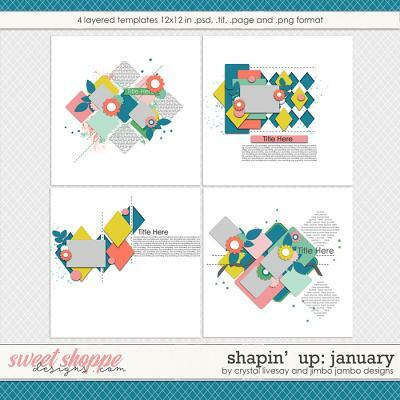 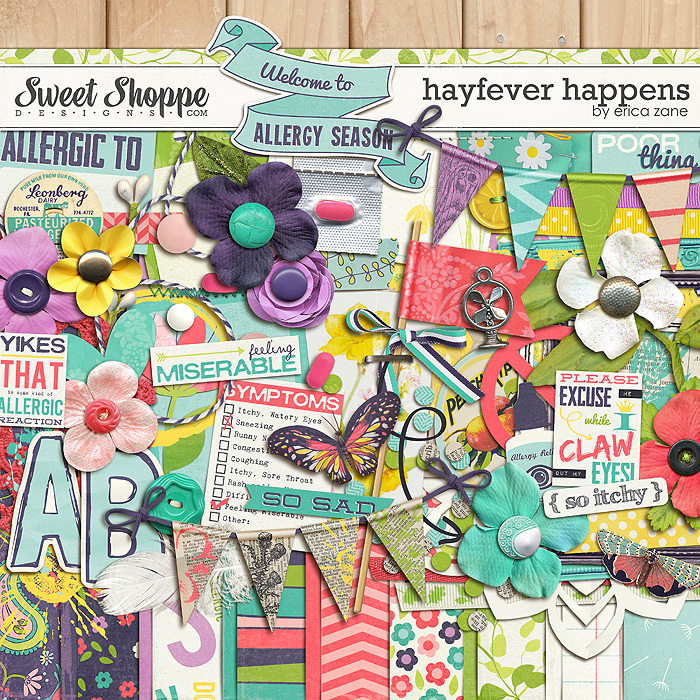 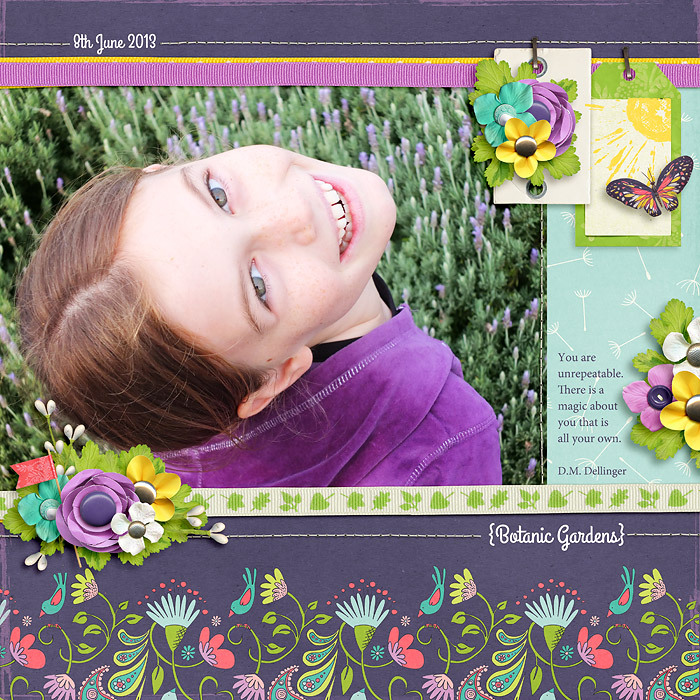 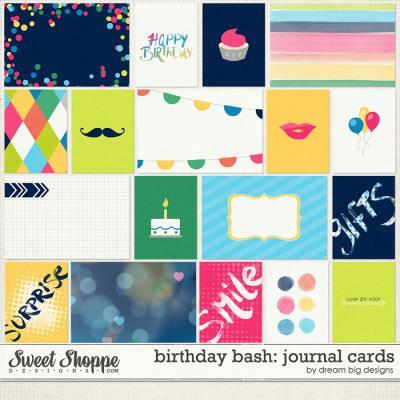 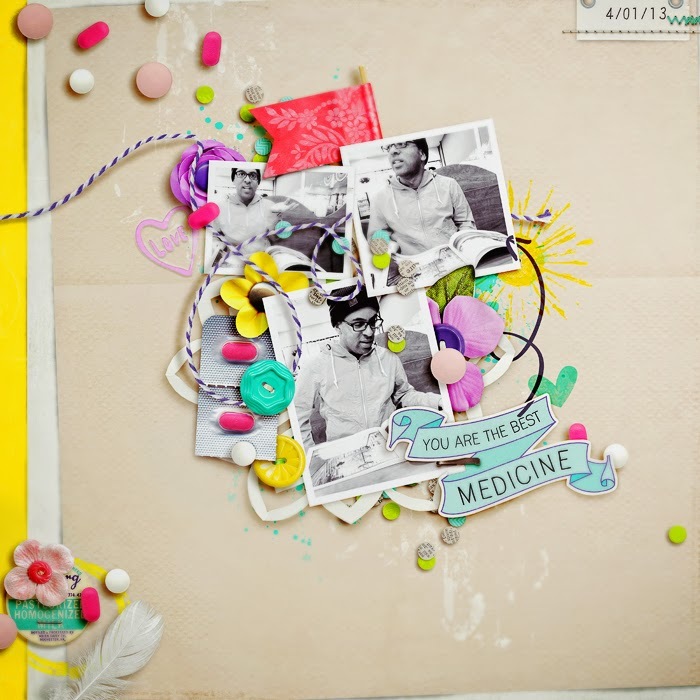 A digital scrapbooking kit by Erica Zane, Hayfever Happens is full of fabulous colors and fun elements! 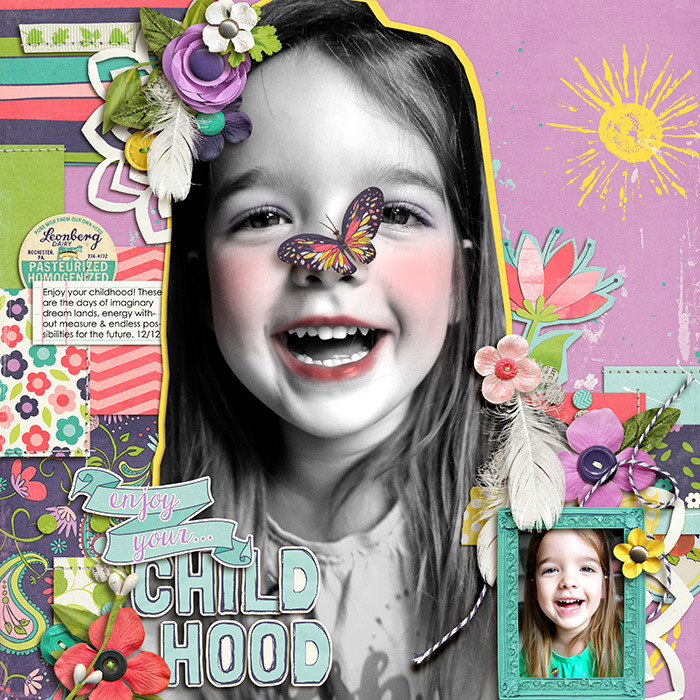 While the word art and a few elements are perfectly themed to allergies...the majority of the kit is super versatile for all sorts of occasions. 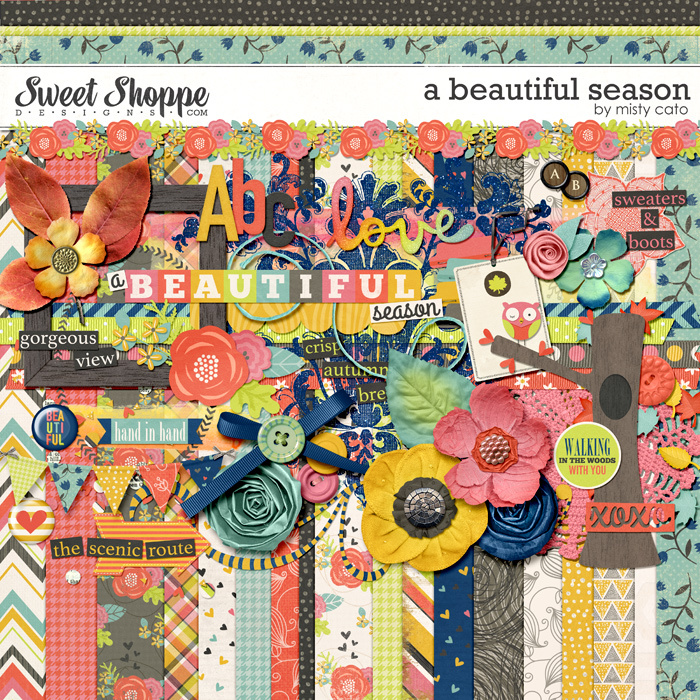 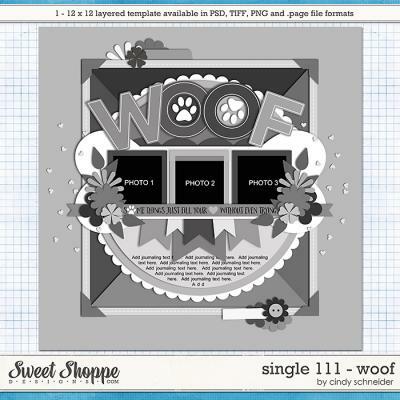 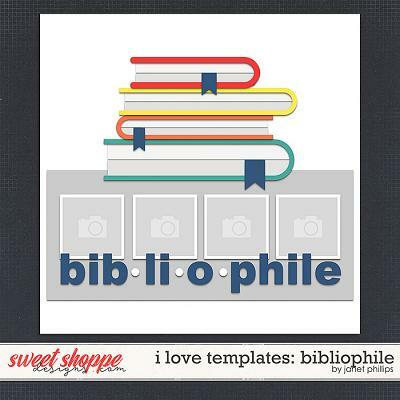 Packed with 18 digital scrapbook papers, more than 70 digital scrapbook elements and a digital scrapbook alphabet (saved as individual .png files), this kit is guaranteed not to make you sneeze (I think!). 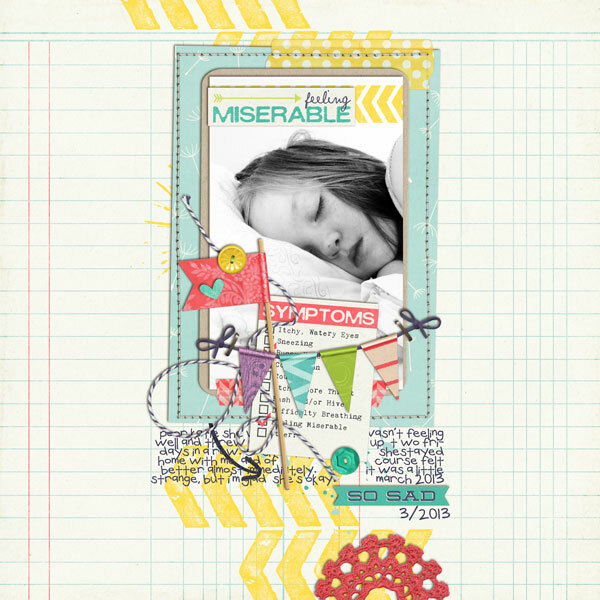 The elements include: 10 word art pieces, 9 flowers, 5 ribbons, 4 frames, 3 banners, 3 sets of stitches, 3 pieces of tape, 3 journal cards, 3 leaves, 3 paint spills, 2 labels, 2 butterflies, 2 buttons, 2 doilies, 2 cards, 2 tags, feather, stamped chevrons, heart, bow, eye drops, confetti, string, fan charm, stamped sun, flag, medicine pills, "no" sign, arrow and a staple.